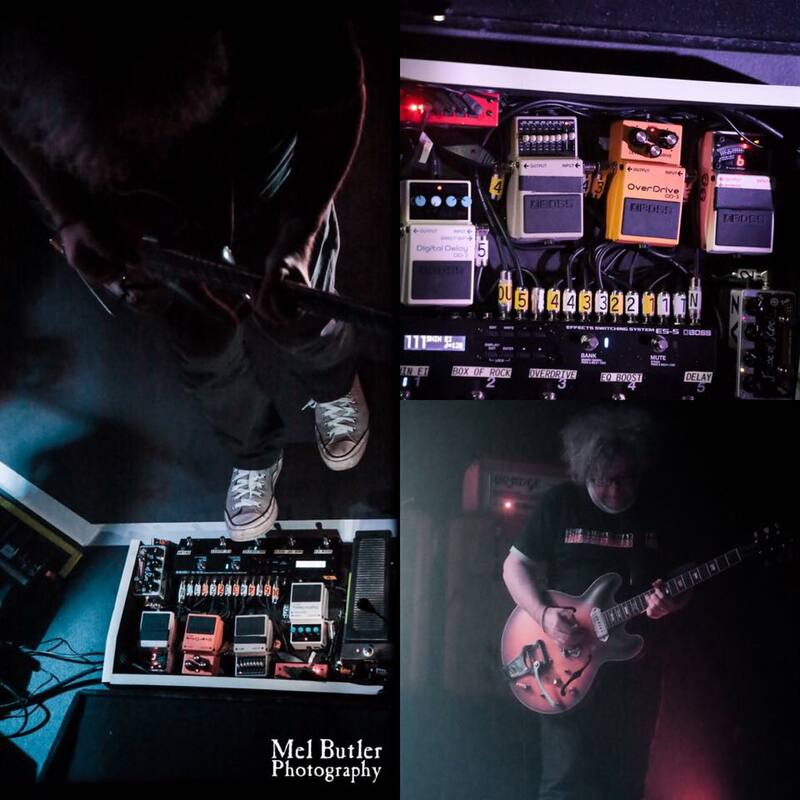 The Boss ES-5 can be seen in these photos of William Reid's pedalboard. Based on the same concept and features as the flagship ES-8, the ES-5 is pared down to offer more practical and essential use options for typical guitarists and bassists, and is drastically reduced in size to fit ready-made, standard-size boards. The innovation in creativity of pedalboard systems made possible by the ES-8 has become more available and affordable. Expand your board just by one size and incorporate the ES-5, then you are in for a whole new world of musical expression, not just another utility tool. From this day on, the use of stompboxes will never be the same. Simply the BEST switching system EVER! Let's face it, we all love the lush, natural, and purely organic tones of the analog pedals and tube amps. At the same time, we all hate having to tap dance our way through multitudes of pedals just to change the sounds in an instant. Back in the old days, if you wanted a switching system you would've had to spend quite a fortune to get a rackmount switching system with a MIDI foot controller just to get by, and it was inconvenient for many people. Enter the Boss ES-5, the BEST switching system for convenient, simple, easy-to-use setup. Not only does it come with 5 loops to work with, it also comes with external controls for switching amp channels or controlling tap tempos with other devices. The loops are programmable as well - you can interchange the order of the loops for convenience, and you can also program parallel loops as well. Very amazing stuff. I'd also like to note that the designers at Boss Corporation took it one step further and added in the spillover function as well. WOW! That means I can switch patches AND still allow my delay/reverb trails to decay naturally! This is the perfect solution! The biggest selling point of the ES-5 is the screen on the unit - it's very user-friendly. Need to adjust preferences on the run? No need to hook it up to a computer! The onboard interface is a no-nonsense system that even a bass player would be able to understand. Oh, and did I mention that this unit has MIDI functionalities as well? Very easy to control my Boss DD-500 with this. Adios tap-dancing, FOREVER!!! Final verdict: If you're using 5 or less effect pedals and you need something that can give you a perfect solution for live convenience with analog rigs, take a serious look at the Boss ES-5. I did, and I haven't even looked back since. I don't think I can say enough about this! It is a very dynamic, intuitive piece of gear! It does exactly what Boss says it does, and very well. The build quality is solid. I love that you can move pedals around virtually (in analog) and also place them in parallel. WOW!!! can it change patches on effects with MIDI implementation lie the TC Nova and X4 stuff?